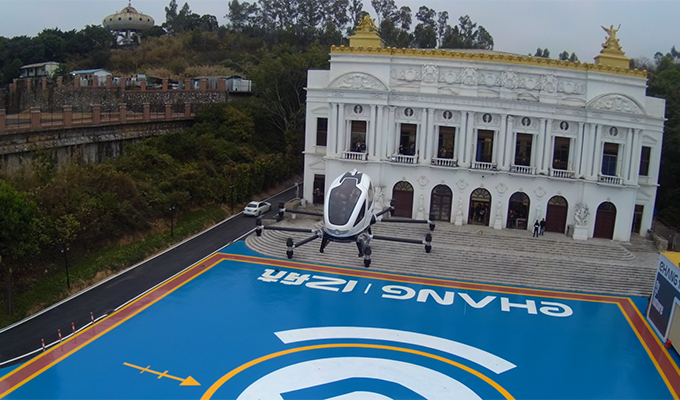 [GUANGZHOU, CHINA, February 6th, 2018] EHANG, a global leader in unmanned aerial vehicle (UAV) technologies, has unveiled footage of the latest test flights of their self-flying passenger aircraft or Autonomous Aerial Vehicle (AAV). The EHANG 184 series is the world’s first passenger drone capable of carrying a single person at up to 130 km/h and in force 7 typhoon conditions. These manned test flights are just the latest in a series of tests to ensure that the EHANG 184 AAV will be safe and ready for public use in the near future. 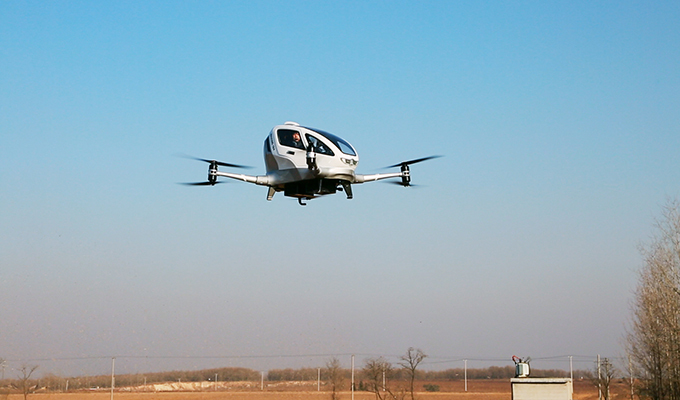 Hu founded EHANG in 2014 and since then more than 150 technical engineers have conducted thousands of test flights, including a vertical climbing test reaching up to 300 m, a loaded test flight carrying approximately 230 kg, a routed test flight covering 15 km, and a high-speed cruising test that reached 130 km/h. “We’ve been developing and testing aerial vehicle technology for some time now, and we’re finally at the test flight stage for the AAV. It’s been a huge success,” said Hu. 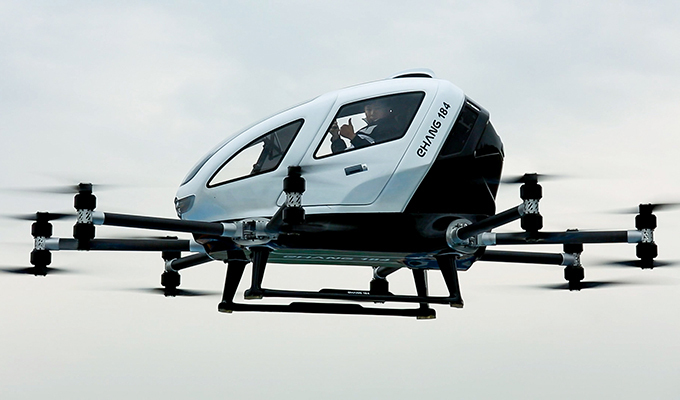 Despite this success, the EHANG 184 AAV will still see further improvements. More emphasis will be placed on improving passenger experience and on adding an optional manual control, giving passengers with piloting experience the choice to operate the vehicle manually. In addition, the company has already developed and tested a 2-seat AAV with a payload of up to 220 kg. In 2017, EHANG was granted the AS9100C certification, a quality management system widely adopted and standardized by international aerospace industry, and its AAV obtained the Special Flight Permit for civil aerial vehicles issued by CAAC (Civil Aviation Administration of China). In addition, EHANG is working closely with CAAC to jointly establish relevant airworthiness standards for the transformative AAVs as a major industry representative of the CAAC UAV Technical Experts Committee, making for improved and systematic industry polices and standards and pushing forward industry development.